When the weather gets warmer and the sun finally decides to show its face outside of the television screen, you’re likely going to want to spend as much time soaking up the sun’s rays as possible. Even more so if you have a gorgeous summer house to spend it in. However, that summer house might be looking a little worse for wear since the last time you used it, you’ll want to clean it out before inviting your friend’s round for a drink and a chat in the sun. What can be done to start sprucing up your summer house? We’ve listed five top tips inspired by Hortons UK Log Cabin, that will help you get everything in order to that you can spend evening after evening in the comfort of your beautiful summer house. If it hasn’t been used much over the past few years, any summer house will have gathered some dust as well as a few cobwebs here and there. The building may have also been used as ad hoc storage space for children’s toys, or gardening equipment, or ‘things we no longer need but don’t want to throw out’ that has accumulated over time. Take a day to clear your summer house out completely, getting rid of anything that you no longer really need. Be ruthless! A badly ventilated summer house can easily fall victim to condensation, mould and damp, so this is something you need to bear in mind. If it smells a bit foul once you’ve cleared out the place. Try to increase the air flow by propping the door open and opening any windows. 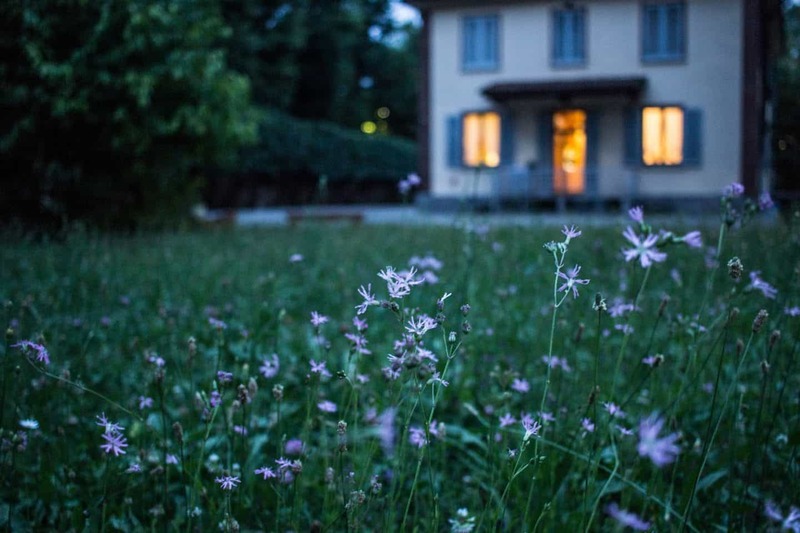 If your summer house has been properly waterproofed, you shouldn’t have to worry about damp and mould, but the house can smell a little musty if it hasn’t been used for a while. Keep the air flowing and it should feel good as new in no time at all! Consider a good sized side table to complement any chairs or seats you have in your summer house; you will certainly have a use for it during BBQs and garden parties! Whether you prefer a hot coffee, iced tea or something a little bit stronger, you need to have somewhere to rest your drink in the summer house. The same applies to snacks and nibbles. Dissipate those musty scents of an unused summer house with a few fresh scents of your own. Scented candles are a wonderful way of immediately revitalising a space, and they come in a fantastic variety of different scents. Choose from spiced cinnamon to peach dream, or if you are looking for something a little more subtle, why not try for a nice elderflower or vanilla? It all depends on how you feel. Scented candles are also a wonderful way of adding atmosphere to any sophisticated garden party. The area needs to be well lit, otherwise you can’t enjoy the full benefits of having a gorgeous summer house, particularly that magical time between afternoon and evening when the sun slowly sets and the weather calms down a little. Decorate your summer house with a nice array of small, subtle lighting features. Faux candles and miniature lamp lights are both garden design favourites and these often come in a natural yellow glow that makes it feel almost as if you are surrounded by fireflies. You may also want to add a few throw cushions and a blanket or two into the summer house, so that you and your guests are sitting comfortably and have something to wrap up in if the weather takes a chilly turn. Even though it is called a summer house, it doesn’t just have to be for the summer; sometimes listening to the rain fall on a particularly miserable day can be quite relaxing! A guest post from Dakota Murphy. Next Post Arlo is TWO!